With Pacific Football Club’s inaugural home-opener just around the corner, the full line-up of Canadian Premier League’s 2019 jerseys was released yesterday, and the reveal has seriously hyped for the start of soccer season! On April 4th, the Canadian Premier League (CPL) and their official kit provider, Macron, unveiled the inaugural season custom-designed playing jerseys for the seven founding clubs – the HFX Wanderers FC, York9 FC, Forge FC, Valour FC, FC Edmonton, Cavalry FC and Pacific FC squads. Each jersey is emblazoned with a unique graphic symbol, image or letter that is representative of the club’s identity, paying homage to the cities where the clubs will play. 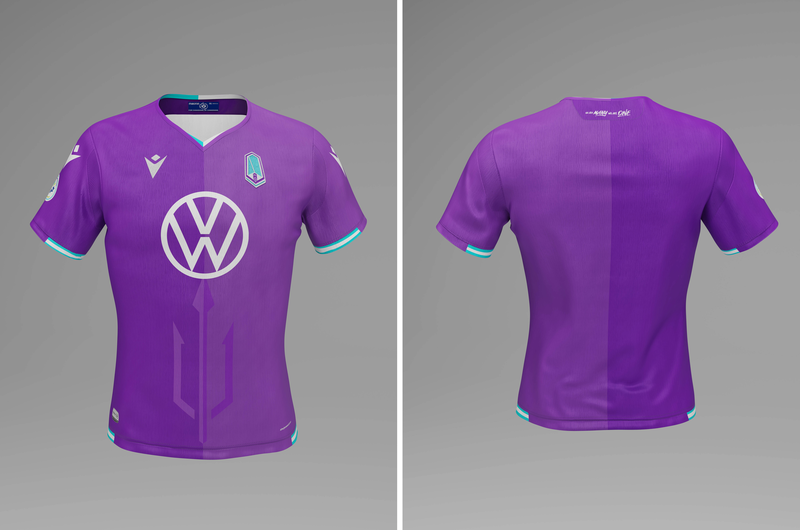 Pacific FC’s striking signature purple dons their home jersey, with eye-catching details like Poseiden’s Trident on the front proudly summoning the island to fight for the badge. Spirited details like the mantra “We are many, we are one” also mark the jerseys, meant to celebrate the shared passion for soccer-lovers everywhere. 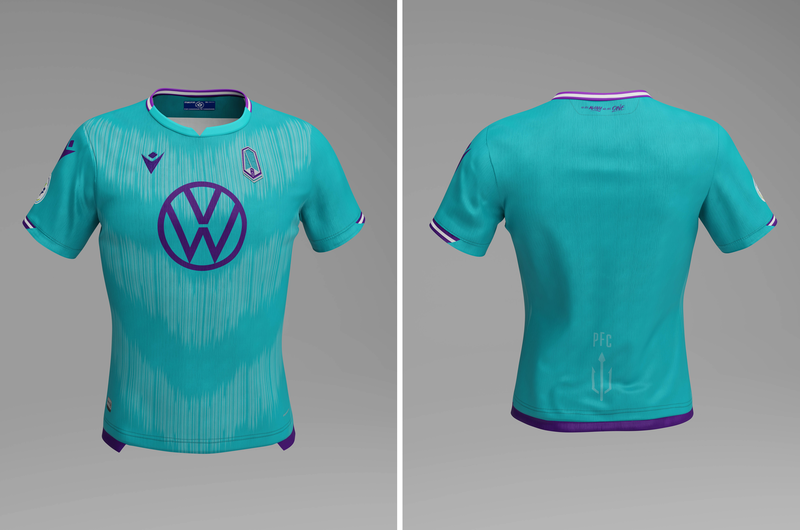 Next to the stand-out purple, PFC’s bold teal that marks their away jerseys is the next best thing – these guys are going to look just as good on away days! The teal-colour is accompanied by an ocean wave design, meaning to stand for the three V’s – victory, vitality, and Vancouver Island! Each team-authentic jersey (home and away) will be available for for purchase online at Pacific FC’s website for $119.99 (Men’s), $109.99 (Women’s) and Youth $99.99. Fans will be able to customize each jersey with either their favourite CPL player or own names and number for an additional $34.99! Don’t forget to grab your tickets for the PFC home-opener on April 28th, so you can see these spectacular jerseys in person!